Five years have passed since the Skandians and the Araluans made their treaty, and Will has finally become a Ranger, with his own fief to look after. He soon learns that even sleepy little islands have problems to keep him on his toes.Then he and his old friend Alyss are thrown into a terrifying new adventure, investigating the truth behind rumours of sorcery in a remote northern fief. As he stands in Grimsdell Forest, with the horrific, ghostly Night Warrior looming over him, Will must ask himself one question: is there a rational explanation ...or does sorcery really exist? John Flanagan grew up in Sydney, Australia, hoping to be a writer. 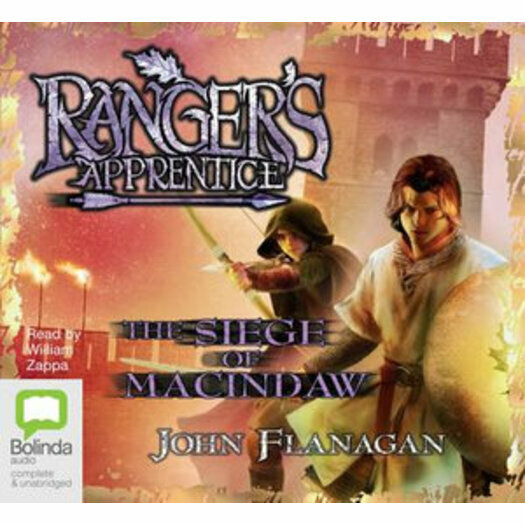 John began writing Ranger's Apprentice for his son, Michael, ten years ago, and is still hard at work on the series and its spinoff, Brotherband Chronicles. He currently lives in the suburb of Manly, Australia, with his wife. In addition to their son, they have two grown daughters and four grandsons.